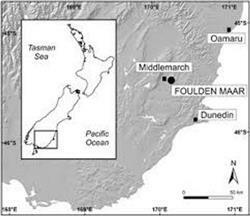 Scientific access to one of New Zealand's pre-eminent fossil sites has been assured - at a proposed diatomite mine in the Foulden Hills near Middlemarch, in Otago. 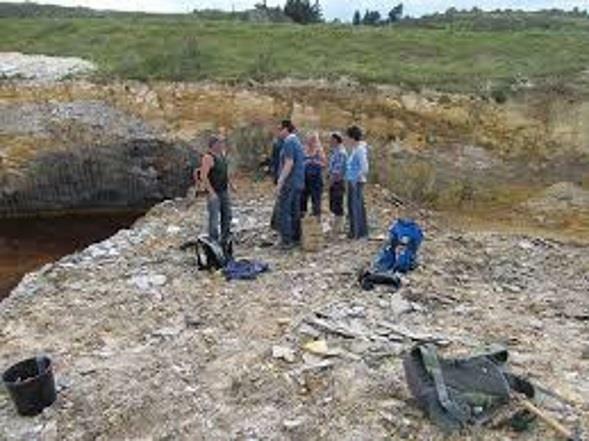 Dozens of new species of plants, insects such as beetles, ants and termites and even fish have been identified at the diatomite mine since 2003, where Malaysian-owned Plaman Resources is readying to resume mining. The science quest is a collaboration between miners and scientists, where the work of the former uncovers the fossil targets of the latter. 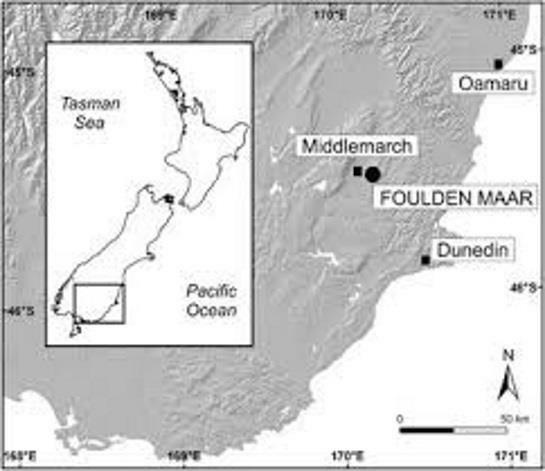 University of Otago geology department associate professor Daphne Lee described the Foulden Hills site as one of the most important in the Southern Hemisphere. “This is New Zealand's pre-eminent fossil terrestrial site of the Miocene age and is most impressive - there are few others like it. A similar site in China, is essentially a museum now,” she said. With the 2015 purchase of the mine by Plaman Resources, a question mark evolved over continued access to the important site for university geologists. Plaman Resources’ general manager for NZ, Craig Pilcher, said there was no intention of restricting access, so long as health and safety and continued mine operations considerations were met. “The mining industry needs to be supportive of education of young people. Any mines I have controlled in the past have always granted access to anyone who is interested, for the right reasons,” Pilcher said. Fossils were discovered in the area around 1875, with geology students visiting in the 1960s and Prof Lee first visiting in the 1970s, as a student herself. However, she said since excavations began in earnest from 2003, her research team had collected over 100 new species of insects, 30 different flowers, about 100 species of leaves and hundreds of fish specimens, belonging to two species. Prof Lee estimated half of the fossil species which had been found so far at Foulden were now extinct. Also found had been seeds, fruit and fossilised pollen which had been removed from flowers, and mounted for further study. The site is privately-owned and there is no public access. Seveeral times a year Prof Lee takes students and colleagues to the site, where up to 20 kg of diatomite samples are removed, then layers of the almost featherweight diatomite, of about 0.2mm-2mm thick, are prised apart, to reveal the fossils. “Colleagues from all over the world are working with specimens from there,” she said. Another important aspect of the Foulden Maar (volcanic crater lake) was its capturing of climate records from the distant past; showing different periods of the La Nina versus El Nino weather events, including times when the climate was much warmer than the present. Analysis of diatomite laminations provided a 120,000 year-old record of climatic fluctuations, with some data still under investigation by an international team of climate scientists. She described Maars' as typically having ``exceptional'' levels of preservation of organic material, which ranged from microscopic algae, aquatic and forest-dwelling insects, fish, birds, mammals and reptiles. It was possible to reconstruct entire eco-systems from the past. “The surprising find has been insects, which we didn't expect,” Prof Lee said. While there are presently about 11 ant species in NZ, Prof Lee said a further 10 mostly extinct species had been found at Foulden. Records of spiders have become one of the new additions. Prof Lee said the world's oldest known galaxiid, or whitebait, was found site, and also the oldest known fossilised eel in the southern hemisphere came from the Foulden Maar. In 2009, a Marsden Grant from the Royal Society of NZ enabled a research team from Otago University, GNS Science and the University of Adelaide to core drill the site. “It's the only pre-ice age Maar in the southern hemisphere which has been fully drilled (to its base),” Prof Lee said. Core drill samples in 2010, to a depth of 183m, showed the mine site was a small but deep volcano; with radiometric dating revealing it was formed about 23 million years ago. The volcano, about 800m-1,000m in diameter, formed into a lake which then over the following 130,000 years filled with diatomite - from a floating, silica-bearing microscopic plant which died off annually. The 130m deep diatomite, potentially may contain moa and even crocodiles, Prof Lee said. In 1997, a fossilised fragment from the right lower jaw of a small crocodile was discovered near St Bathans, potentially 16 M years old - the first of its kind in New Zealand. Fossil gathering at Foulden Hills.